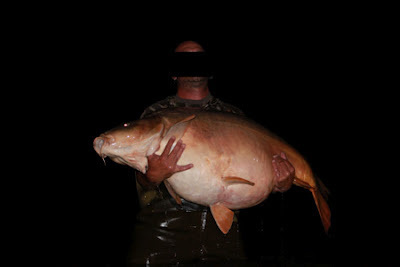 On June 2nd a new world record carp was captured at Euro Aqua, a fishery in Hungary. The huge mirror carp is the first fish ever to break the magic 100lb mark. Last week Austrian angler Roman Hanke hooked a monsterfish weighing more than 46 kilograms, or 101 lb 4oz, breaking the previous world record carp of Les Graviers of 99lb. Euro Aqua is a 27 acre private fishery run by Austrians near the renown Balaton Lake in Hungary. According to the lake owners this mirror carp could reach a 110lb weight, or 50+ kg, in a couple of years. 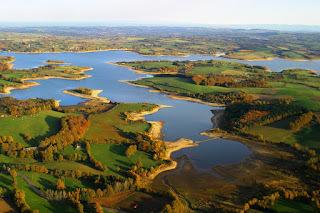 The private Lake, that only accepts a limited number of anglers that have to be accepted as members first, is home to a great number of huge carp. Earlier this year a first 40+ kg carp was captured, along many fish over 30 kg. For a full week of fishing, if of course you're allowed to as a member, you will pay 700 euros. Check out the location of Euro Aqua right here or visit the website (in German). Just as Anonymus said: this lake is an artificial lake north to lake Balaton, where all the monster carps have been stolen from surrounding natural waters like lake Velence, and lake Balaton. This record should not be advertised, furthermore the owner should be closely investigated and questioned about his fish resources as his "crimes" are open secrets to Hungarian anglers. The Euro-Aqua lake is the best !